When it comes to the type of customers we work with, it's hard to define type - other than establishments and companies who have people of their own to serve - whether it's patrons, guests, employees, or customers. Bernick's serves a number of customers in the bar and restaurant industry, naturally, but we also have unique collaborations with entertainment venues, like St. Cloud's own Pioneer Place Theater and Veranda Lounge. Co-founder and co-owner Dan Barth - a local celebrity in his own right - bought the building on Fifth Avenue in downtown St. Cloud 20 years ago with his brother, Mark. The pair intended to renovate the space for their video production company, but as they dug into phase one of construction, had a change of heart. 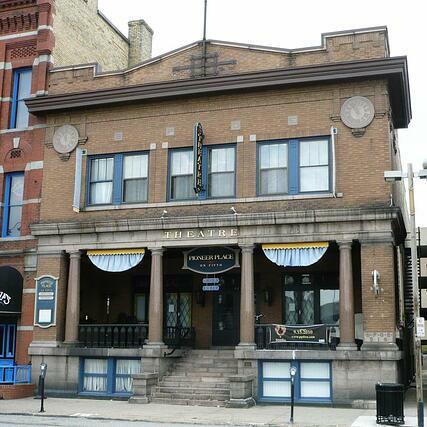 Originally built in 1913 as an Elks Club, it featured a grand ballroom and at one time, a balcony. The Barths continued on with renovation, but preserved much of the building's original charm including hardwood floors, ceilings, and doors and deemed the space the new home of Pioneer Place on Fifth Theater. "When we opened Pioneer Place on Fifth Theater in 1999, our goal was not to create another college bar. There were already plenty of those already doing a great job serving the community and that demographic. We wanted to do something different. It dawned on Mark and I that as middle-agers at the time, we wanted to create a place for us. For our age group, focusing on empty-nesters who still have half their life in front of them, and still wanted to get out and have some fun," Dan said. The theater focused on local productions and bringing live acts to downtown St. Cloud. Within five years, the Veranda Lounge was established, offering theater guests another dimension of entertainment. It serves as a wine bar featuring classic cocktails, craft beers, spirits, and the "finest wine list in town." Dan talked about the inception of the lounge, and what it took to carve that space out. "Bernick’s has been instrumental in making the Veranda what it is. If you can imagine a building that was built in 1913 and to suddenly have this large craft beer boom – and we want to jump on board, but we have NO tap lines. The building isn’t exactly equipped to put in tap lines either. But the amazing team of engineers and folks at Bernick’s made it happen for us. I still don’t know how. They worked so hard and really cared about what we wanted to do and found solutions to make that happen." The Pioneer Place Theater itself is a quaint, intimate, 185-seat theater. "We run five professional plays a year for three weeks each, so about 75 nights of live theater. When there’s not a program on stage we run our music series. In 2016, we did about 160 concert nights. The genres are all over the board – from rock and roll to country to folk to jazz – we try to feature a good mixture that appeals to all different preferences of community members. On top of that, in the Veranda Lounge we also have a stage and we run live music every Friday and Saturday, plus we’re home to Monday Night Jazz – every Monday at 8pm we showcase jazz musicians to take the stage to perform. It’s open to the public, free of charge, and it’s become a neat little event each week," Dan said. He continued, "When we first opened, there were many people who thought we were crazy for choosing an older demographic to focus on. There’s no way those people will come out at night – let alone downtown St. Cloud when the college kids are in town. We tended to disagree. 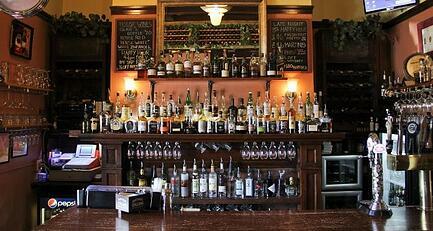 By offering great programming, we could also offer a great venue to enjoy an adult beverage. We knew it would work. Granted, it took time to build – but with great partners like Bernick’s, and booking great shows, we were able to carve out that niche of a true adult audience. And, it’s been awesome. Several other businesses downtown have benefited from that as well – restaurants, hotels, as well as other theater companies. We drew an audience back downtown." "The thing I’ve always loved about Bernick’s is they have the same values we have here. We’re also a family-run business, and it’s so awesome to work with somebody like Bernick’s – though larger scale, they still have those family values that are so important to business. Top down, too – from John Torgerson, the COO to the Bernick family themselves, Jason and the crew. They're just really focused on community first and business second. We follow that same belief here. Our community is what it’s all about because as a small business, we do business in this community," Dan added. Dan talked about what it's been like being part of downtown's revitalization and adding value to community through Pioneer Place on Fifth and the Veranda Lounge. He said, "When we came up with the crazy idea that we wanted to throw a 100th birthday party for our building five years ago, we wanted to highlight it with an outdoor concert downtown. We didn’t know what we were getting into. We were naïve enough to know, however, that we needed a lot of help and support to pull it off. The people at Bernick’s stepped forward and handled all of our beverage services, all the equipment, support staff, and on top of that jumped on board as a sponsor because they saw it was a true community event downtown – something that had never happened before. Since then, we’ve hosted Takin' It To The Streets for five years. Bernick’s is still our partner on so many levels. We were really honored last year when they chose the event to commemorate their own 100th anniversary, and we had a blast hosting their staff, customers, and guests as part of the festivities." Dan concluded, "I go to a lot of events in the Central Minnesota community – a lot of nonprofit events, fundraisers, and community celebrations. Rarely is there an event like any of those where Bernick’s is not a part of it in some way. Their giving back to the community philosophy and mentality should be admired by the rest of us, and inspire us to truly strive to meet or exceed their level of corporate giving and support. It’s absolutely stunning. That is what makes St. Cloud a great community – that – more than anything. Thanks Dan for being a loyal, dynamic partner. We're proud to support Pioneer Place and Veranda Lounge, and we look forward to supporting you in all your future successes!